An Illinois state trooper's car was hit by another driver and left a mangled mess. This is the 13th time it's happened this year. 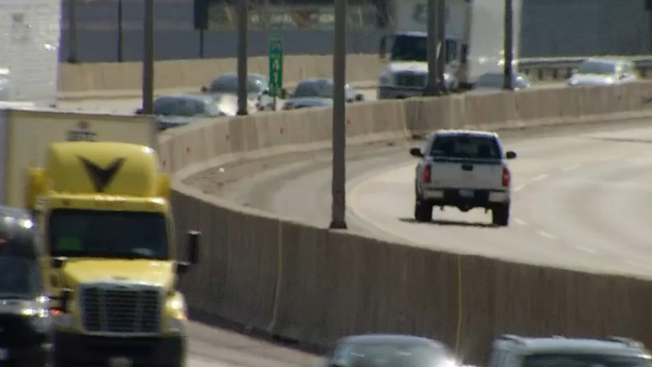 NBC 5's Christian Farr has the latest on police and their warning to drivers. Fourteen Illinois State Police officers or their vehicles have been struck in roadside crashes this year. That's double last year's total of eight. Gov. JB Pritzker and the Illinois State Police on Monday urged motorists to observe the "Move Over Law" when approaching vehicles on the side of the road. The law requires motorists approaching vehicles along the roadside to slow down and change lanes to provide more space. It's also known as Scott's Law in memory of Chicago Fire Lt. Scott Gillen. Gillen was assisting at a crash scene in 2000 when he was struck and killed. The 14 incidents include the January death of 34-year-old Christopher Lambert. In each case, squad cars were hit with the officer inside or both the car and trooper were hit. More than 50 Illinois State Troopers packed a Skokie courtroom Tuesday for the bond hearing of 61-year-old Scott Larson--the Wisconsin man who has been charged with the death of trooper Christopher Lambert. NBC 5's Christian Farr has the details.